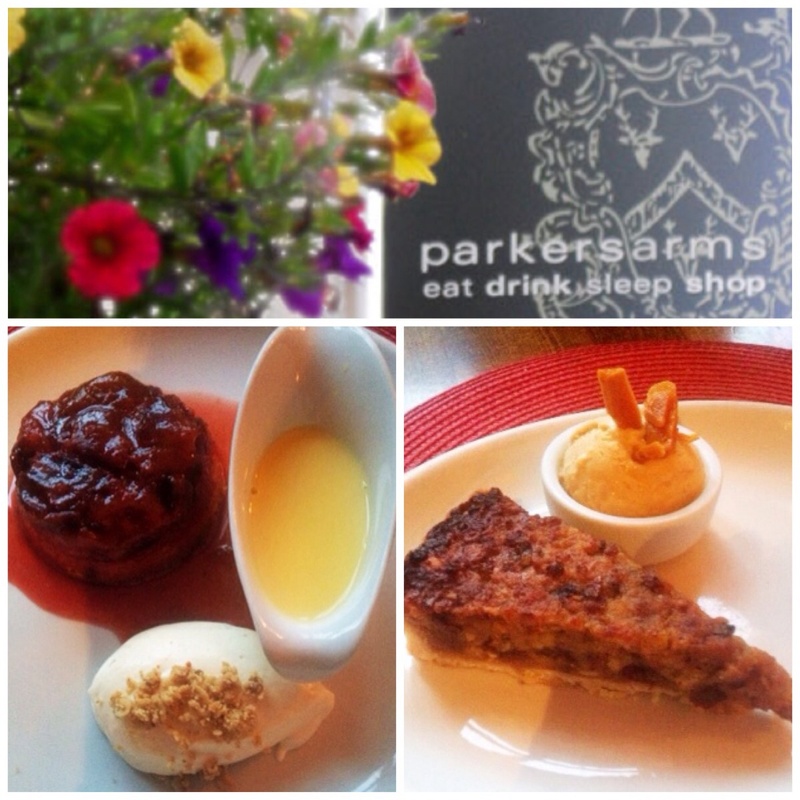 I can’t believe it, the latest trip to the Parkers Arms was even better than last time shock! The Flame and myself enjoyed a wonderful Sunday lunch a few months back. When faced with where to meet a couple of Yorkshire foodies I made the call to get them into the heart of Lancashire with the promise of some top home cooking. So no pressure then! I needn’t have worried. Suffice to say Stosie, AJ and the team turned up trumps once again. We met in Clitheroe for a stroll round the old town. During the time there I was constantly pressed and niggled that lunch better be good. 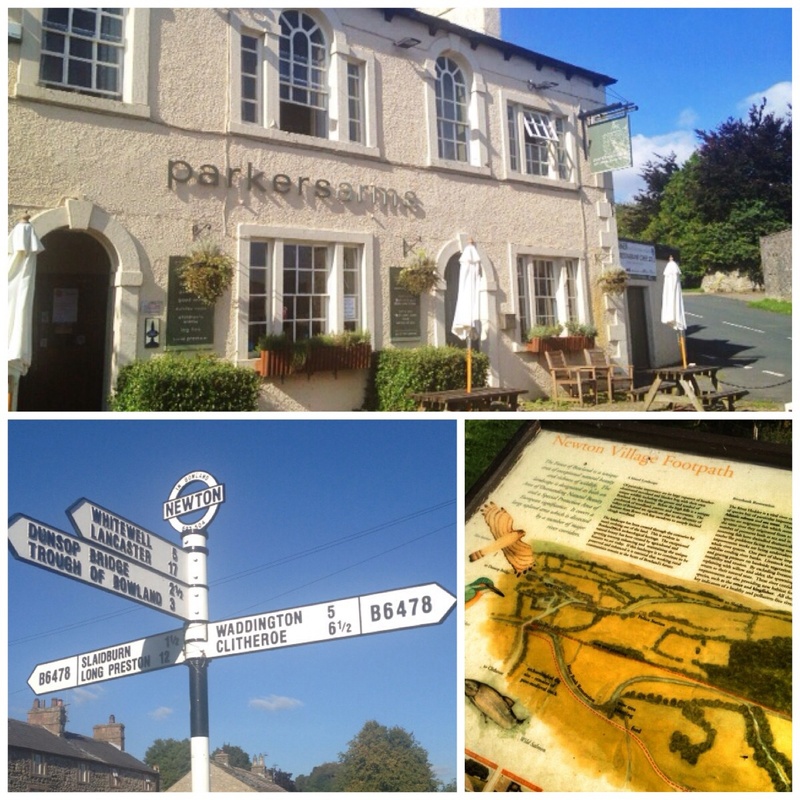 We wound up through the pretty village of Waddington and over the moors before the now familiar sight of The Parkers Arms hove into view. I had booked online for four. We were shown straight to our bay window table by a young, fresh faced slip of a lass. Our table groaned by a simmering log fire. Candles flickered. Two pints of ‘Hen Harrier’ ensured the male half of the scheme were bang in fettle. Wine and water put the other half at ease. Starting to feel at home it was left to AJ, the genial host, to put our slippers on and order our grub. Just to explain AJ is the front of house part of the trio that make the Parkers Arms what it is. Stosie and Katie head up the foodie bit. It is a winning team. AJ, spectacled, with a full shock of curly locks, ‘Wallace & gromit’ cardie/cordrouy trousers and broad Lancashire brogue is arguably the friendliest and most eccentric host you’ll ever meet. His explanations of the wares on offer are a delight and had our guests chuckling like new born babies. He convinced our guest Julie to have the pheasant as ‘you can have beef anytime’. We had three menus to go at! The Sunday special, the seasonal specials and the normal menu. 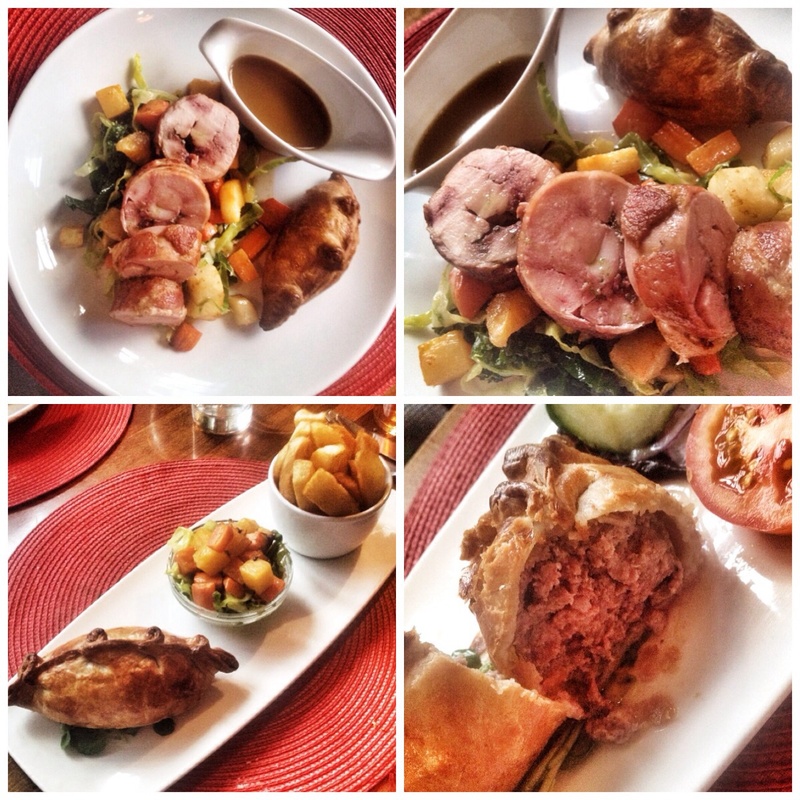 It all adds up to a wonderful Lancashire feast. We pretty much all went from the seasonal menu. The Flame had a wonderful slab of game terrine. I have never been allowed to taste a finer one. The Yorkshire cove wolfed into a three cheese soufflé with a cheese sauce. It was proper cheesy. The Yorkshire cove considered it highly beneficial to his overall wellbeing. Me and the Yorkshire lass had probably the smoothest, crabbiest, crab parfait you will ever imagine. It was sublime. Mains were a revelation. Between us we had either pheasant or venison and pork pie. The pheasant came two ways. The breast had been rolled into a ballotine whilst the leg was encased in a pasty pastry. Set on seasonal veg with a creamy, buttery mash. I would argue this was the best dish I have had in years. It ticked all my boxes. My morsel of venison pie was gorgeous. The cove and the flame went away very happy with their pasty. It looked good as well with the hot, rail sleeper chips on a slim plate. Despite being satiated we decided (for research purposes) to have a go at a sweet! Going back to my childhood I ventured into a plate full of Victoria plum sponge pudding with custard and cream. Took some doing but golly it was good. The flame plumbed into Katie’s wet Nellie. Fruit, mince, nuts, treacle, it just has to be good. It really was a tremendous meal. Great company in a fabulous environment. Sat overlooking the countryside from our fireside table was a delight. What we really needed was a room so we could have stayed! A couple of cigars and a brandy might have worked as well but we had to drive away into the evening chill. I can imagine with snow on the hills and the Christmas tree lights on it would make the perfect Christmas card. 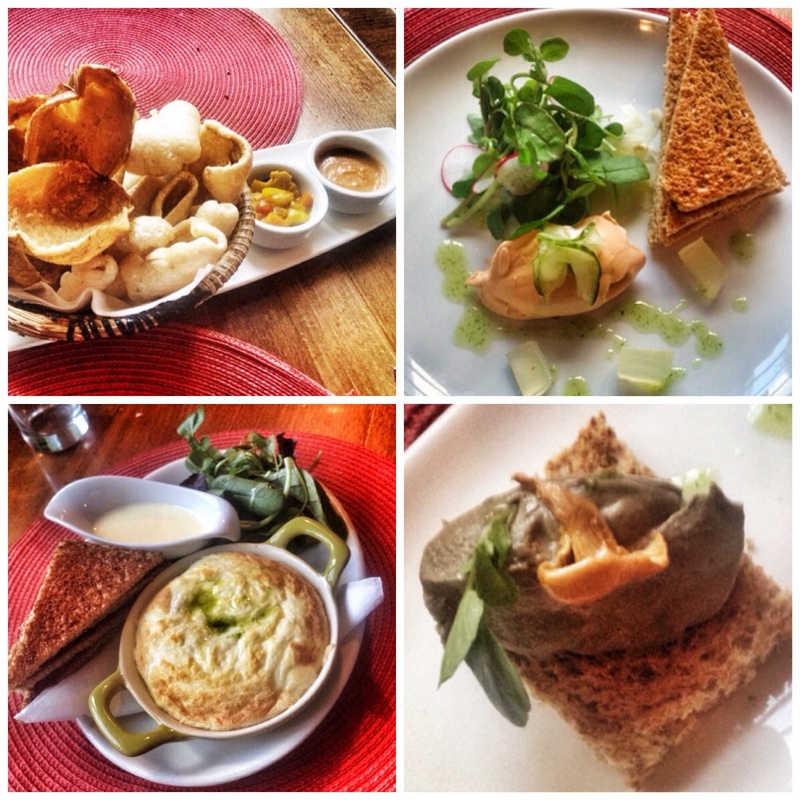 Our Yorkshire troop texted later that it was the best meal they had in years and thanked us for taking them there. They will definitely be back. And so will we. And so should you all.